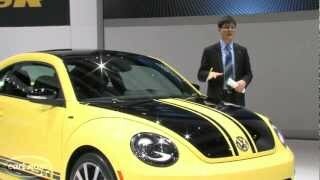 Volkswagen unveiled the new 2013 Beetle GSR at the Chicago Auto Show. 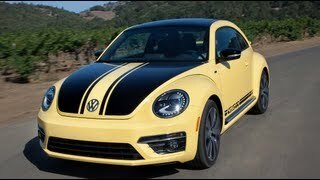 This beetle bug with its 210 PS turbo engine goes from standstill to 100 km/h in just 7.3 seconds (0-60mph in 6.6 seconds) and has a top speed of 229 km/h (130mph). 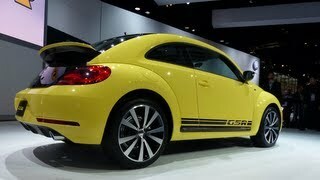 The production for the 2013 Volkswagen Beetle GSR is limited to only 3,500 units worldwide. 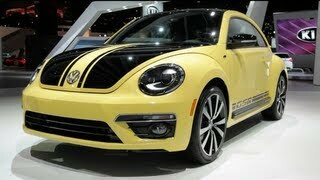 Volkswagen will start taking orders for the car from May 2013 onwards and delivery will begin from the autumn. 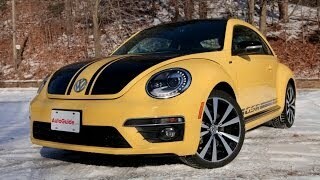 Price in Germany: € 30,300.